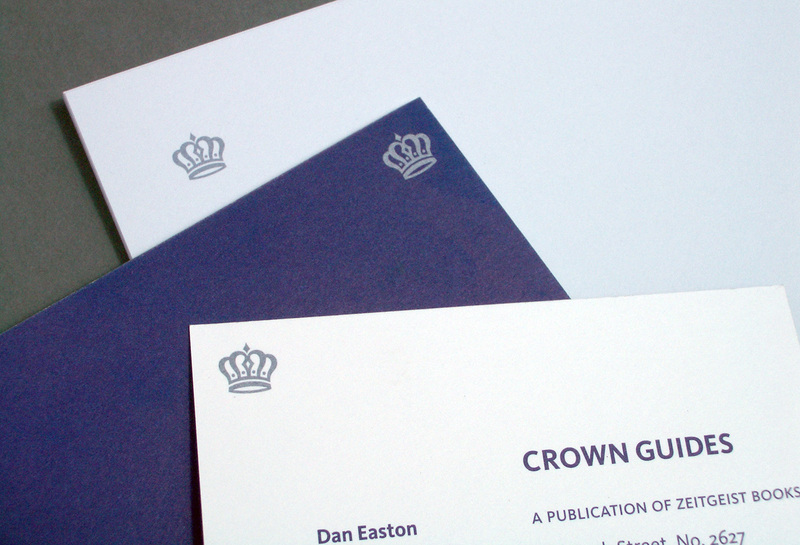 Crown Guides is a small publisher in San Francisco. The name and symbol were chosen to imply history and credibility. The logo is elegant without being ornate; clean and contemporary without being too abstract. Printed in metallic light blue.